Tuesday February 12 - 7:00-9:00 p.m. The Second Tuesday Bar Tour makes a stop in Uccle, or Ukkel, during Happy Hour (18h to 20h). We invite you to meet new friends and bring a crowd to explore this lively bar in the Uccle commune of Brussels. 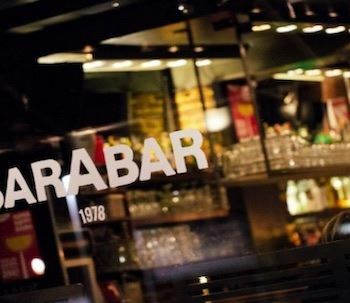 The Barabar offers a vast assortment of liquids from beers to cocktails to more beers. Price: Dependent on your own consumption!! Please register by Monday, February 11, so that we know how many of you to expect for the reservation at http://www.americanclubbrussels.org/event-3154935. Call or text (+32 494 27 97 63) Carl to find where the group may be sitting… if you cannot find us!